This list is primarily focused on patients who were buried in the Eastern State Hospital Cemetery or somewhere on the campus of the original hospital during its nearly two century history. Please remember that this is a work in progress. Check back frequently as we will be updating this list on a regular basis. Do you have questions about pre-1960 records of an ancestor while they stayed at Eastern State Hospital? Please contact us for more information. Be sure to scroll both vertically and horizontally to access all of the information in the index. Contributed by Phil Tkacz, Mary H. and Shawn L.
Ancestry.com. 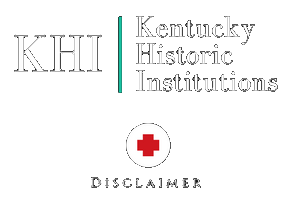 Kentucky, Death Records, 1852-1964 [database on-line]. Lehi, UT, USA: Ancestry.com Operations Inc., 2007. The Kentucky Reporter [Lexington, Fayette, Kentucky], 22 August 1833, p. 1. Microfilm held by the Kentucky Room, Lexington Public Library, Lexington. The Kentucky Atlas of August 24, 1849, as reprinted in the Lexington Leader, Lexington, Kentucky, 25 August 1901, p. 10 cols. 1-4. Microfilm held by the Kentucky Room, Lexington Public Library, Lexington, Kentucky. Kentucky. Kentucky Birth, Marriage and Death Records – Microfilm (1852-1910). Microfilm rolls #994027-994058. Kentucky Department for Libraries and Archives, Frankfort, Kentucky. Kentucky. Birth and Death Records: Covington, Lexington, Louisville, and Newport – Microfilm (before 1911). Microfilm rolls #7007125-7007131, 7011804-7011813, 7012974-7013570, 7015456-7015462. Kentucky Department for Libraries and Archives, Frankfort, Kentucky. Much of the information on this page was obtained through personal research by Phil Tkacz at the Kentucky Department for Libraries and Archives and other locations.